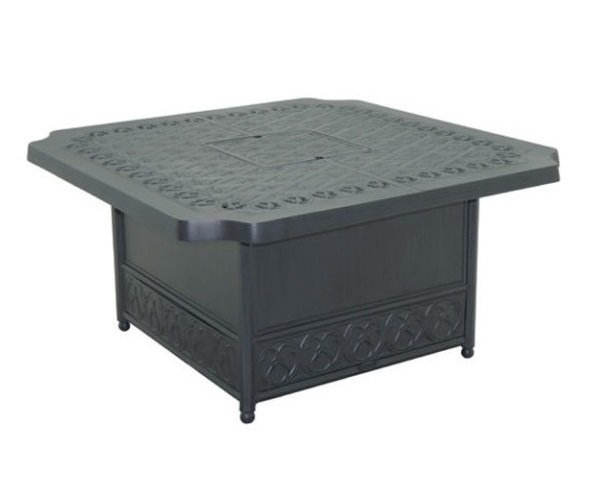 The ESTATE Collection from BILTMORE® by CASTELLE® coffee table/firepit draws inspiration from architectural design elements and classic lattice-work found on the grand Loggia and Library Terrace at Biltmore House. 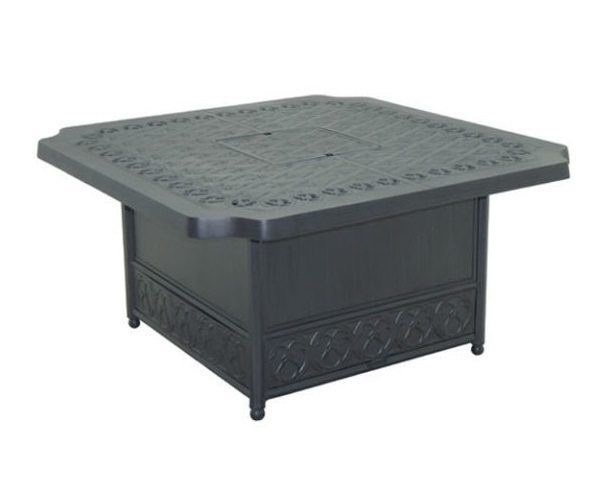 The cast firepit top is covered with inviting images hand carved among the lattice design of acorns and Fleur de Lis. A decorative curved edge is featured on each corner of the firepit top. The architectural design is mirrored around the base of the firepit. 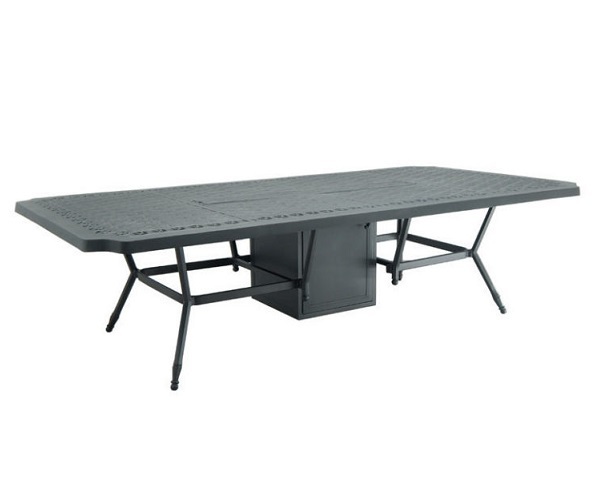 Constructed of quality aluminum to coordinate with the ESTATE Collection, the LP gas compatible coffee table/firepit completes any outdoor living area with warmth and ambiance.